Adjuvants are products which, when added to pesticides, herbicides, or feeding stimulants in spray tanks, increase their effectiveness by improving wetting, spreading, and adhesion to plants. We carry a variety of adjuvants that are made from non-ionic wetting agents and safeners for use in tank-mixture with agricultural and horticultural chemicals, to improve their performance. Products are used to improve adherence in periods of rain and other unsettled weather, as a safener in situations of marginal selectivity, or as an anti-transpirant, particularly in horticulture. These adjuvants are based on a unique coating agents, which adheres pesticides and herbicides onto plants in a water resistant form, protected against degradation by sunlight, and against high temperatures. The coating agent slowly releases the active chemicals so they are available to the plant. 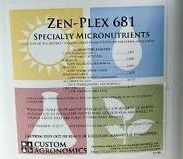 This reduces phytotoxicity but greatly extends the action of the spray chemicals. Phytotoxicity is normally the result of a very rapid uptake of a chemical, during the first few hours after spraying by plants that are only relatively resistant to that chemical. In the case of weed killing, a delay of a day or two may be introduced by the use of adjuvants designed to slow down rather than speed up the uptake of spray chemicals by treated plants. This entry was posted in adjuvants and tagged adjuvants by admin. Bookmark the permalink.